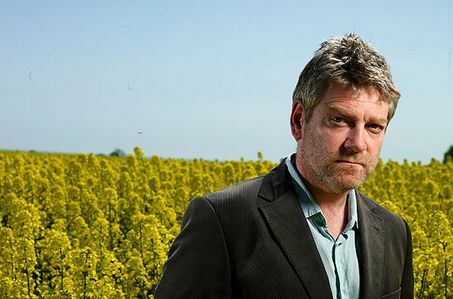 The recent showing on British TV of a second series of the BBC’s Wallander has added to an already growing interest in Scandinavian crime fiction. The success of Henning Mankell’s books, featuring the troubled police detective Kurt Wallander, is easy to explain: Wallander himself is a compelling character of real depth and the plotting is strong. But what stands out for me in both the books and the BBC series is the landscape and the atmosphere. In fact these beautifully made standalone episodes would seem to be more about atmosphere, emotion and feeling than anything else, including detection. The emptiness and quietness, the unassuming provinciality of Ystad and the surrounding area, mean that the brutal killings Wallander investigates stand out in sharp and vivid contrast. The BBC’s TV adaptation has been described as ‘Norse Morse’, partly because it shared the same Sunday evening slot as the long-running TV series based on Colin Dexter’s novels, partly because Kenneth Branagh’s Wallander seems superficially to be a reworking of John Thaw’s Inspector Morse. But perhaps it’s also because, like sleepy, comfortable old Oxford, rural Sweden, especially beautiful Skåne, just doesn’t seem like the sort of place where bad things might happen. It’s a common trope in detective fiction of course. Where would Agatha Christie be without her country houses and sleepy villages? But I wonder what this conclusion says about British TV audiences. In reality Oxford is a busy, even overcrowded city, yet it exists at some level in the popular imagination as a semi-rural small town with ‘dreaming spires’ and otherworldly though alarmingly venal Dons. On that basis Ystad seems the perfect location for a Morse for the twenty-first century: it is mostly rural (Brits have a particular fascination for the countryside, despite mostly living in cities and suburbs); it is a paragon (by British standards) of well ordered society and well managed public services; it is far enough away, and expensive enough, for most Brits never to have been there. There is perhaps a hint of schadenfreude here–smug Sweden turns out to be not so great after all–but there is a quiet melancholy in the BBC series, and in the Swedish adaptation also aired in the UK, which is an appealing antidote to some of the more noisy British-based crime series and to the perceived brash grubbiness of Britain itself. What Henning Mankell himself has done with Wallander is understandably a little different and more pointedly Swedish. At least part of the appeal of the novels is that they unpick Sweden’s idea of its own orderliness and security in the decades since the 1980s, a political point that is watered down almost to homeopathic levels in the British TV series. On the other hand the contemplative, melancholic atmosphere combined with Wallander’s bleak determination seem to say quite a lot about what British audiences think of themselves and where they would rather be, right down to the nostalgic theme tune and the popularity of Wallander’s haunting, ethereal ringtone.